Roy Arthur Skeen escaped this mortal realm December 3, 2018, leaving behind 14 boxes of pizzelle cookies, 5 tubs of Folgers® Black Silk coffee, and enough stories and shenanigans to keep us laughing for years to come. 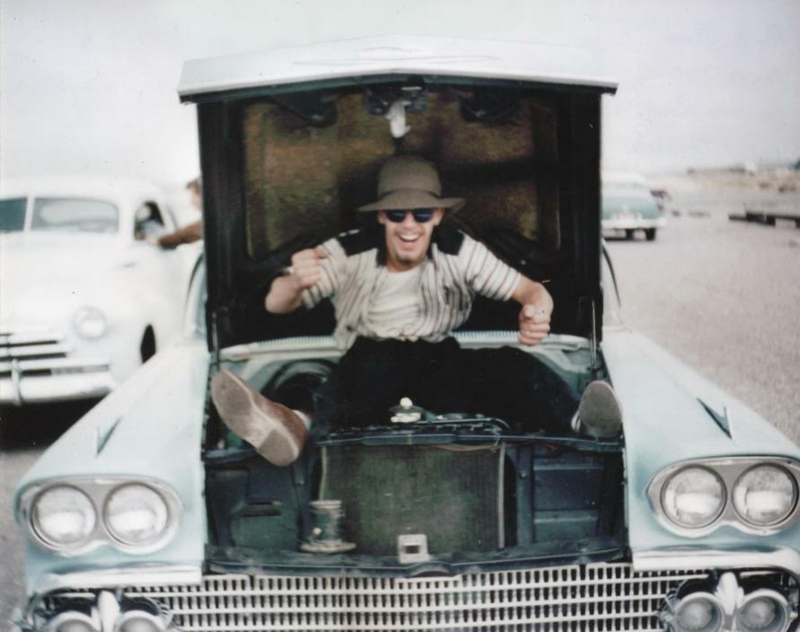 Roy “Clean Skeen” cruised into this world May 29, 1937 in Ogden, UT, and was hell on wheels from the outset. He worked for his father in Skeen’s garage for many years, and graduated from Ogden High School in 1955, where only a few of his teachers took an early retirement after having him as a student. Roy volunteered his service in the Utah National Guard, and went on to have a very successful career in the trucking industry with Motor Cargo, NW, and Overnite Transportation. He begrudgingly retired, but did. Not. Stop. Moving. Until the physical limitations of his body forced him to, and even then, he could be found pulling weeds in the garden (ROY! Stop that! ), picking up dog poop in the yard (ROY! I’ll do that, you get back in here! ), or unloading and reloading the dishwasher (Roy! Sit down! I will take care of that!). His leisure activities in later years largely centered around lovingly teasing the cashiers at his local grocery store, chatting with his home teachers (who he allowed to keep coming by as long as they didn’t bring up religion), and generally brightening everyone’s day who crossed his path. He enjoyed many things, his children, grandchildren (7), and great-grandchildren (6+), a hot cup of coffee (two sugars), working on cars, reading the morning paper front to back, reading the horoscopes out loud to all affected parties, Western novels, the Utah Jazz (when they were playing well), the Denver Broncos (when Shelli came to watch the games), and cheering for anyone playing against BYU. His incredible gifts for drawing, woodwork, and metalwork made him the awe of many, his home and yard are a testament to his talents. Roy was married to Charma Lewis, and later divorced. He spent his final, hell-raising years in Syracuse, UT with his dogs (Charlie and Spring) and wife of 37 years, Rena. They were married on December 24, 1981, and Rena was the sunshine of his days, he adored her despite her love for “carpet burgers” (any type of veggie burger). He is survived by Rena, daughters Shelli Pence (West Haven, UT) and Audrey Skeen (Dustin Fehr, Salt Lake City, UT), sons Jason Skeen (Roy, UT) and Richard Angell (Matt June, Seattle, WA), and brothers Robert Skeen (North Bend, OR) and Gilbert Skeen (Layton, UT). He was preceded in death by his parents Wanda and Charles, sisters, Barbara and Jean, and brothers, Ray, Chuck, Danny, and Mike. He will be deeply and genuinely missed. His memory will be a unique and special treasure to anyone who got to know and enjoy him. In lieu of flowers, the family asks that you please make donations to the American Lung Association. Roy’s final years were painful and challenging, due to his smoking. The best way to honor his memory and legacy is to stop smoking, and fund programs to help others do the same. Tremendous gratitude to Drs. Francis and Shepherd, and the nurses and staff of CNS for making Roy’s final days as comfortable as possible, and easing his transition into his next adventure. 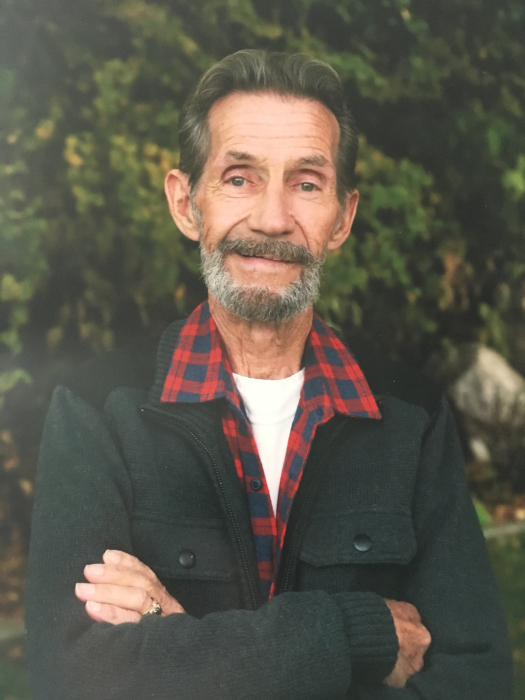 Funeral services will be held Saturday, December 8, 2018 at 11 a.m. at Lindquist’s Layton Mortuary, 1867 No. Fairfield Road. Friends may visit family Friday from 6 to 8 p.m. and Saturday from 9:30 to 10:30 a.m. at the mortuary. Interment, West Weber Cemetery. Celebration of life will be held at the Grand Victorian, 2767 W. Gentile Street, Layton, UT, Saturday at 4 PM.